City Council overwhelmingly approved a 2019 budget with no major tax or fee increases – an election year tradition. But the next mayor and City Council will face rapidly rising city pension obligations. The price tag next year is $1 billion, and it’s estimated to reach more than $2 billion by 2023. Just who that mayor will be remains to be seen. The crowded field of candidates is starting to take shape – Monday marked day one of petition filing for candidates vying for that and other municipal offices. 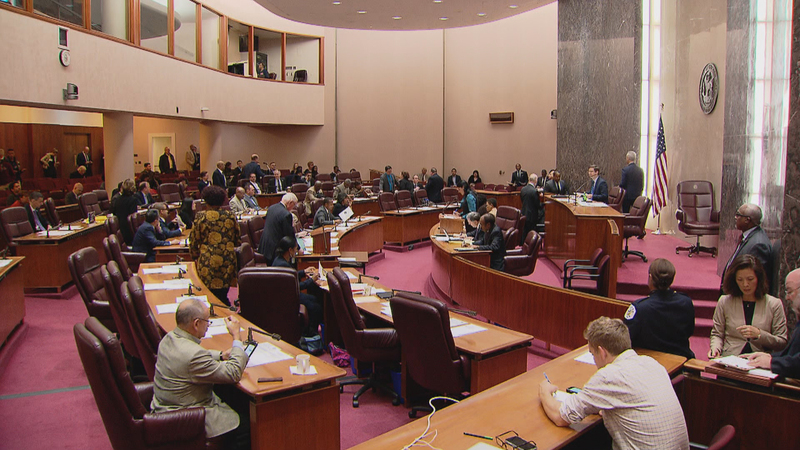 Meanwhile, a lawsuit filed last week by housing advocates alleges “aldermanic privilege,” which gives veto power over affordable housing in wards, illegally perpetuating the city’s ongoing problem with segregated housing. If the nine affordable housing advocates prevail, it could severely curtail the power aldermen wield over zoning, land use, the sale of city property and public financing of projects in their wards. Emanuel wants to establish four new tax-increment financing, or TIF, districts around the city. But a possible district in Lincoln Park is facing pushback. Critics at a community meeting last week said the Lincoln Yards development was moving too fast. Ald. Brian Hopkins says the ward desperately needs funds from creating a TIF district to pay for infrastructure improvements including better streets and more bridges. Joining us with some insight on these issues and more: Ald. Ricardo Munoz, 22nd Ward; Heather Cherone, managing editor of The Daily Line; and Ald. Brian Hopkins, 2nd Ward.